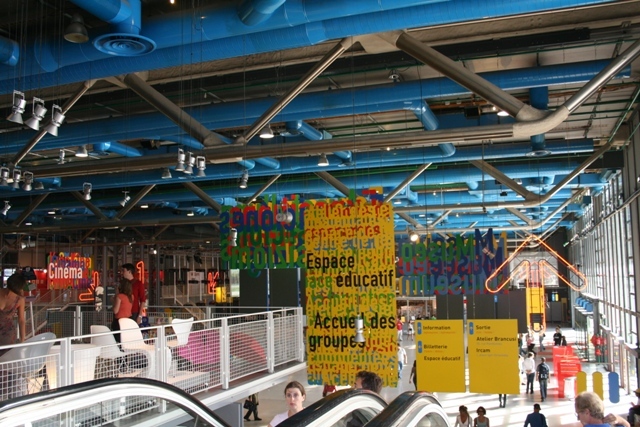 Modern art is not especially my thing, but I always wanted to check out the Pompidou Centre. It sparked my interest when I first heard about it (many) years ago in a school French class. I had never been, so it was on the list for this Paris trip. Instantly recognisable, you can’t miss it. It looks strange, almost as if they haven’t removed the scaffolding – definitely one of those love it or hate it places. Built between 1972 and 1977 it displays and promotes contemporary art. 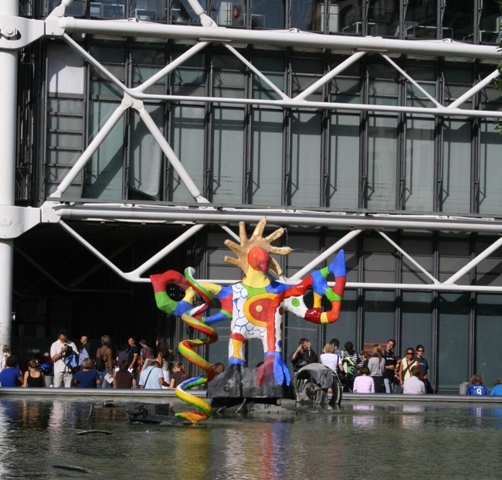 It was named after Georges Pompidou, one time president of France and right from the off, this building has been controversial to say the least. The design is brazen for sure, but does manage to attract 6 million visitors a year. An inside out building – the structural supports, pipeworks, air ducts, elevators etc. are all on the outside and painted bright colours to make them a feature. We didn’t visit any of the galleries, but you can access parts of the building without having to pay the entrance fee. I loved the bookshop on the bottom level – worth coming here for that alone. Also the tiny gift shop on the mezzanine was full of funky, arty and unique souvenirs. Again, I could have browsed for ages and left with some quirky gifts. Outside the centre, to the west was a square with a lively, buzzing atmosphere. We decided to grab a spot at one of the cafes and people watch for a while. There were lots of young, arty types sitting around on the ground, chatting and enjoying the sunshine. Son loved all the street musicians and mime artists here too. There were a few “unsavoury” types around and apparently this area is rife with pickpockets. We had no problems, but forewarned is forearmed and all that. 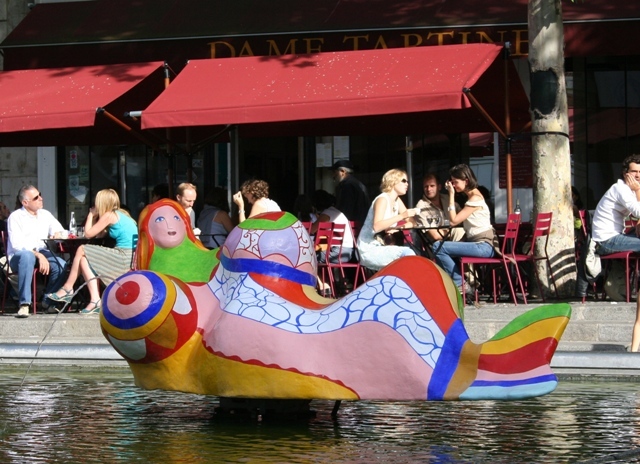 We also loved the Place Igor Stravinsky, just around the corner from the entrance to the Pompidou. The fountains are great – surreal, strange and definitely worth seeing. Not sure in the end whether I love or hate the Pompidou building but I was glad to see it for myself. I probably would not go back again on future trips to Paris, but it was different, quite refreshing and a real change to all of the other areas we saw and explored on this trip. Thank you – it’s a cool place! How interesting! I love modern art. If I ever make it to Paris I will have to check this out. I love the fountains! We didn’t go to the galleries, but the building itself is interesting enough! The fountains are fab and really fun too. I understand about modern art not really being your thing but this does look like an interesting building. Thanks for giving a peek at it. 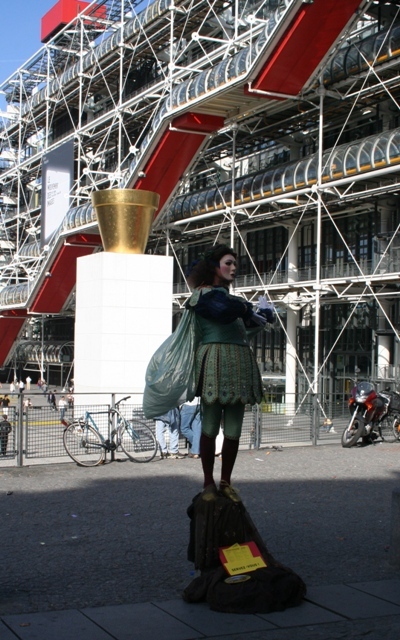 It is definitely interesting and well worth a look if you are in Paris. I’ve never visited, but it does sound like a different corner to explore and great to hear there’s something to make the kids happy as well. It’s strange, surreal, weird but fun! Thank you Kymberly – loving your blog too, glad I found it! 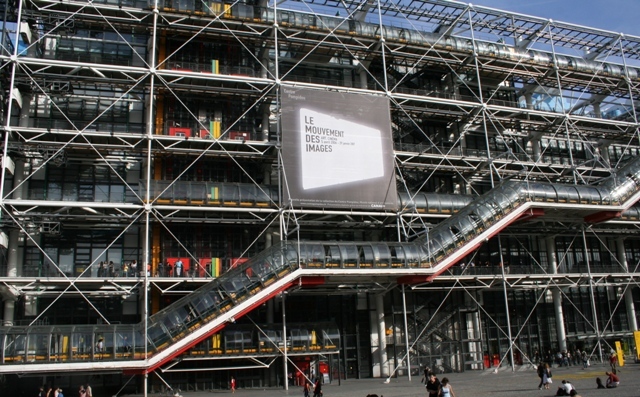 Lunch at the Pompidou sounds like a lovely thing to do – maybe we’ll try and do that next time in Paris. Thank you for dropping by!